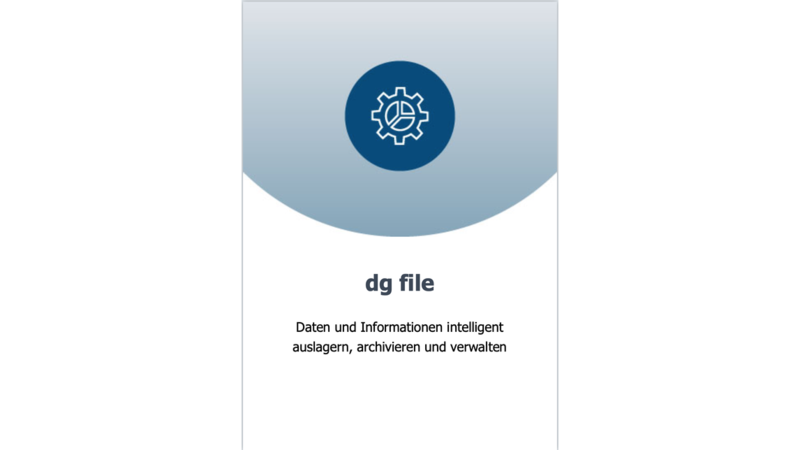 With dg file (the dg hyparchive archiving suite), you move your data and information to its optimal location, based on the value of that information for your business. This can be a 2nd tier storage, a storage in the cloud, the compliance-safe archive or even SharePoint. In addition to the benefits of Hierarchical Storage Management, you benefit from file classification, professional capacity management, and reliable data assessment. There are many ways to optimize file inventory. Three basic application scenarios can be distinguished. Files that, due to their value to the business or access frequency, do not need to be on primary storage can be automatically moved to lower-cost storage locations. The target is all storage systems to be operated. It is also possible to connect storage-on-demand solutions in the cloud. Only by classifying and thus distinguishing files many innovative approaches become possible in practice. Automated structuring and classification of your data turns your unstructured data into valuable information.